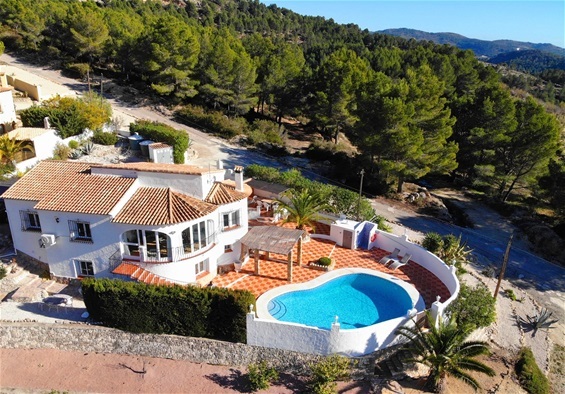 The villa is beautifully situated on a plot of 1,100 m2 above the beautiful Jalonvally on the Costa Blanca in Spain. 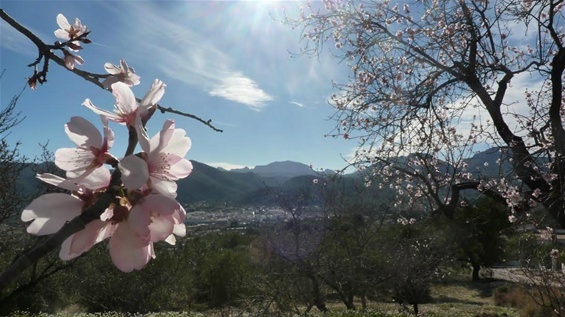 Enjoy maximum privacy and tranquility; the typical Spanish wine village Jalon (Xalo) with all amenities, shops and restaurants is within easy reach (2 km). 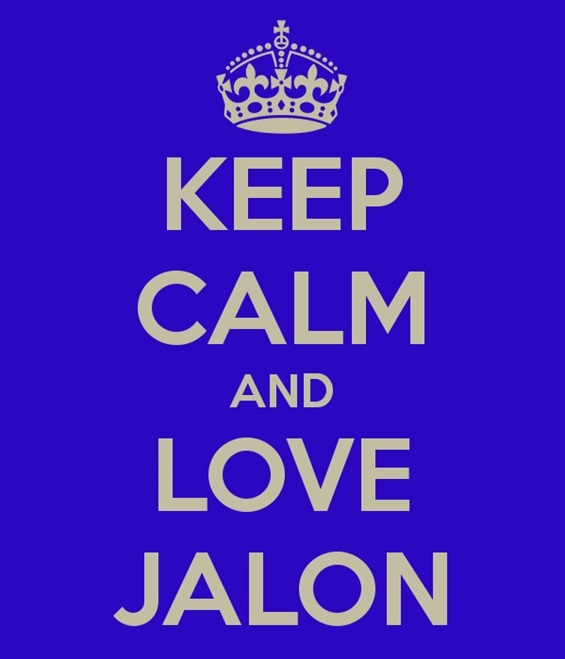 From Jalon it's a fifteen minute drive, along beautiful and scenic roads,to a series of charming coastal towns like Calpe, Moraira, Denia, and Javea (Xabia),... and provides you, also in the middle of the high season with enough opportunities for a relaxed or active holiday. The villa has 3 bedrooms and 3 bathrooms (max 6 persons), a large sun terrace with swimming pool (south facing and with outdoor shower) with breathtaking open views of the mountain landscape. In addition, of course, a modern fully equipped kitchen with dishwasher and laundry machine, a diningroom and a lounge, wifi, satellite HD smart TV (Netflix, Youtube, BBC World, CNN, Arte,... + collection DVD's), a covered indoor terrace with views, air conditioning, carport, 2 outdoor dining spaces, etc. 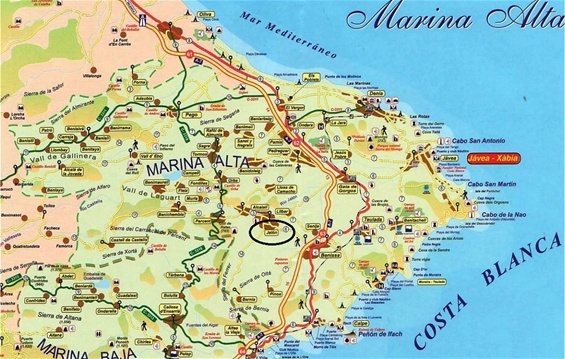 ...The villa is adjacent to a large natural park with numerous hiking trails. In short: The perfect holiday spot!!! 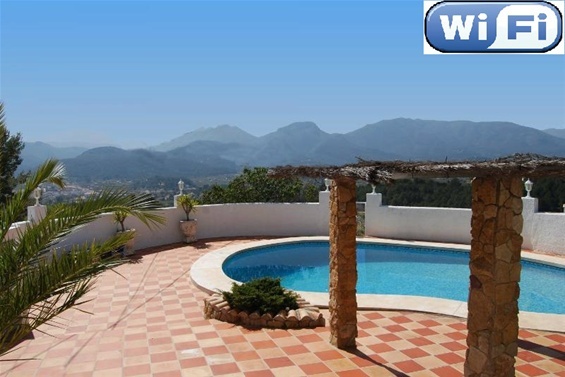 Large sunny terrace and pool, very private, open stunning views of the mountains and the valley. Great situation with numerous possibilities!! !